Make sure they include a wide variety of written press materials in their monthly retainer, such as a Crowdfunding campaign profile, at least four press releases for a 30-day campaign, a Frequently Asked Question (FAQ) sheet, a short white paper, online press room, and media training/message maps for executive interviews, etc. Make sure that you will be working with a media relations expert that has at least 10+ years of media relations experience. The more media relations experience the better your publicity results will be. Beware of PR firms that want to use free or cheap news wire distribution services. Always use a premium news wire service such as Businesswire.com, Marketwire.com, PRNewswire.com or PRweb.com. Make sure the PR firm adheres a strict no conflict of interest policy meaning they do not represent two companies or Crowdfunding campaigns that would be considered competitors at the same time. Ask the PR firm what other types of value-added marketing services are available such as press conferences, community outreach, email marketing, Google advertising/analytics, building fundraising donor databases, data mining, trade show speaker placement, product launches and perks fulfillment. Last, but not least, make sure the PR firm is thinking long term with initial Crowdfunding PR campaign. This means they need to completely understand building brand share awareness as well as business distribution channels for your products and services. Click here to setup a conference call to learn more about launching a Crowdfunding Campaign! Need help using PR to generate funders/donor for your next big Crowdfunding campaign? Need help using PR to generate funders/donors for your next big Crowdfunding campaign? Need help using PR to generate funders/donors for your next big Crowdfunding PR campaign? The key to building a successful Kickstarter, IndieGoGo or Rockethub crowdfunding is to plan ahead and put some money or skin into the effort. I would also recommend reading a book called “The Kickstarter Handbook: Real Life Crowdfunding Stories” by Don Steinberg. This is a great book because it details how much actual works goes into a campaign before, during and after a successful crowdfunding campaign. It also covers how using effective public relations (PR), media relations and social media strategies can either make or break your campaign. After discussing the right and wrong way to handle the marketing, the crowdfunding handbook then discusses the types of rewards that can be given to your supporters as well as warn you not to promise something that you can not deliver without breaking your piggy bank. The crowdfunding handbook then examines a lot of different crowdfunding campaigns and details what successful crowdfunding campaigns did right and what worked well for them in the publicity department as well as what unsuccessful campaigns did wrong. I highly recommend reading this book before launching any type of crowdfunding campaign and will only set you back $16. Last, but not least, is the crowdfunding business plan template in the back of the book. It provides a step-by-step process of how to completely write up a crowdfunding business plan including all the videos, marketing, public relations, publicity, social media, event planning, email marketing campaigns, advertising campaigns, speaking engagements, and other cool ways to completely publicize and make the world and lots of investors aware of your crowdfunding campaign as well as the right calls to action to encourage people to review, analyze, join your movement and, of course, donate money to your crowdfunding campaign. What the book does not explain fully is the step-by-step process of developing a PR media plan and how to leverage social media once you have begun getting some positive publicity. That is what our firm does, teach people and businesses how to generate positive publicity and leverage large groups of people in vertical segments of social networking sites to pass along your crowdfunding campaign’s messaging points to millions of their friends, families, business colleagues and other good Samaritans that may not know or meet. But if they like your product, service or crowdfunding cause as a hobby investor, social entrepreneur or micro investor, they may just give you $100 to get one of the first cool gadgets, widgets or rewards that your crowdfunding campaign promises them. As with any blog post, always finish with a call to action. If you need help creating a successful crowdfunding campaign, please give me a call at (512) 627-6622. Doing will not only put you in touch with the industry’s leading PR crowdfunding experts, but it will put your story in front of the worlds top 250 media contacts that continuously write news stories about the crowdfunding portals as well as the latest and greatest crowdfunding deals of the day that are worth reviewing. 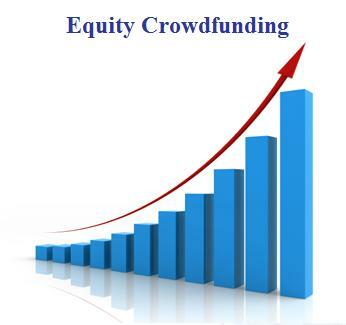 Learn how to generate publicity and investors for your crowdfunding campaign for a hockey stick growth rate!